Mobile cocktail bar hire for all types of events from weddings to corporate functions. We work closely with you when tailoring your menu in order to stay in keeping with any theme you may be planning. Bar de Cru provides a fantastic focal point at any event in order to keep your guests engaged and entertained throughout the entire event. The great advantage about being on 4 wheels is that we can arrive, plug in, open up and we are ready to serve. 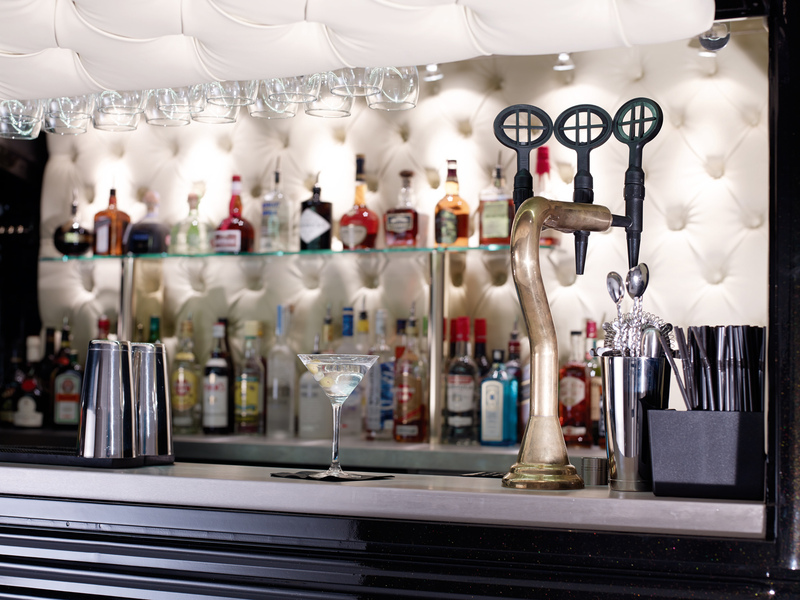 There is minimal setting up and packing down time so you can relax, enjoy yourself and let our professional cocktail mixologists serve you the drinks you want without having the stress of organising and installing a built in bar. We want to make sure the final bill is right for you so there are many different ways that we can structure it. Our clients often wish for a pre-paid bar package for their guests. This allows a budgeted amount of drinks to be served under an initial down payment. We are also happy to implement a token system whereby selected guests can have an agreed amount of drinks on your bar tab. We will keep you updated on your total bar spend on request throughout the event using our iPad till system. Alternatively we can run a pay-as-you-go bar for your guests. This option can make it very affordable to hire as there is only the booking / hire fee to pay. We have full public liability insurance and will even apply for a temporary events notice on your behalf if required. If you have any special requests then please get in touch and tell us about your plans. Our unique mobile bar creates a stunning focal feature and creates a fantastic talking point for all types of events. Organising a wedding can be very stressful but when it comes to the drinks and hospitality, we will do the hard work, giving you one less thing to worry about on your special day. Let us do everything to look after you and your guests in order to make sure the day runs smoothly. 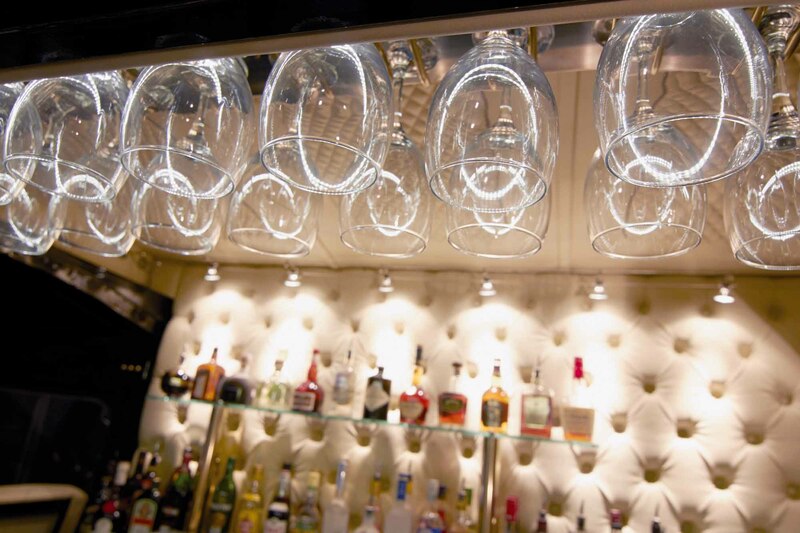 We work closely with you to give you the drinks you want at the budget you set. Why not include a Champagne reception to your package so there is no waiting around for a drink when the party gets going? We will gladly supply a complimentary bottle with every booking. There are many different options available for our mobile bar, so please get in touch to find out more. Our van also comes dressed for the occasion in white ribbons! We have deliberately left our van branding free in order to be versatile for other companies to use it for self-promotion. We are able to apply custom vinyl stickers made to your specification to the van and bar area to aid your branding campaign. 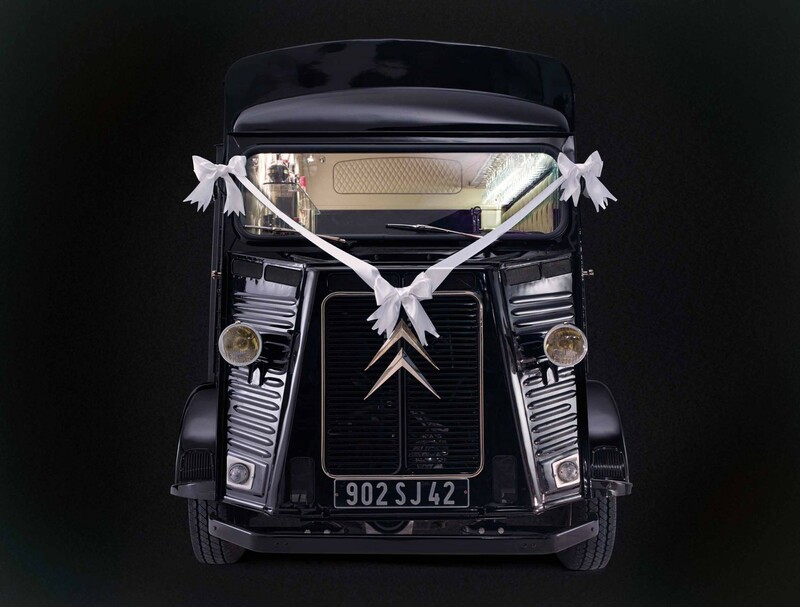 This classic vintage van makes for the perfect backdrop for any photo opportunity, and can be used as an excellent marketing tool at any event you may be planning. If you are looking for something on the larger scale then we also have a large supply of mobile pop-up bars that can be added on as an addition to the van or as stand alone bars. This is a great way to take the weight off of the van if you are expecting a large number of guests. These bars can come in a variety of different styles so please get in touch with us to discuss how you could use this to your own company's advantage. We can cater for any type of event from birthdays to corporate functions. Our customers always come first, which is why we will work with you to make sure the menu is in keeping with any theme you may be planning. When preparing for your event, we will converse with you upon booking to go through your requirements and your cocktail menu. If you would like your guests to pay for their own drinks on an unlicensed premises then we will apply for your Temporary Event Notice in advance in order to legally serve alcohol to your guests. We also tailor our payment plan to your requirements by giving you the option of a "pay as you go" bar, a "free bar" or a mixture of the two in the form of a token system. Our mobile bar can generally cater for up to 250 people, however if you are planning something larger then we have additional pop-up bars in varying styles which can be added as necessary. 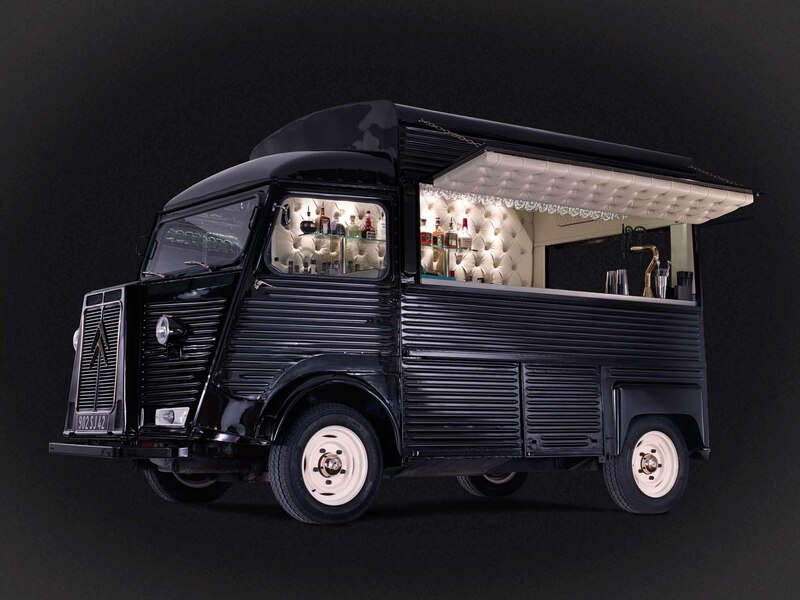 This enables cocktails to be served from the van and beers and wines to be served from the additional bars which helps cut down on queuing times. source suitable staff for yourself. This option enables you to have full control over the bar in order for you to add your own individual style to your hearts content. This can be used as a great way to bring your overall price down when planning a large event. Please get in touch with our team for more information. 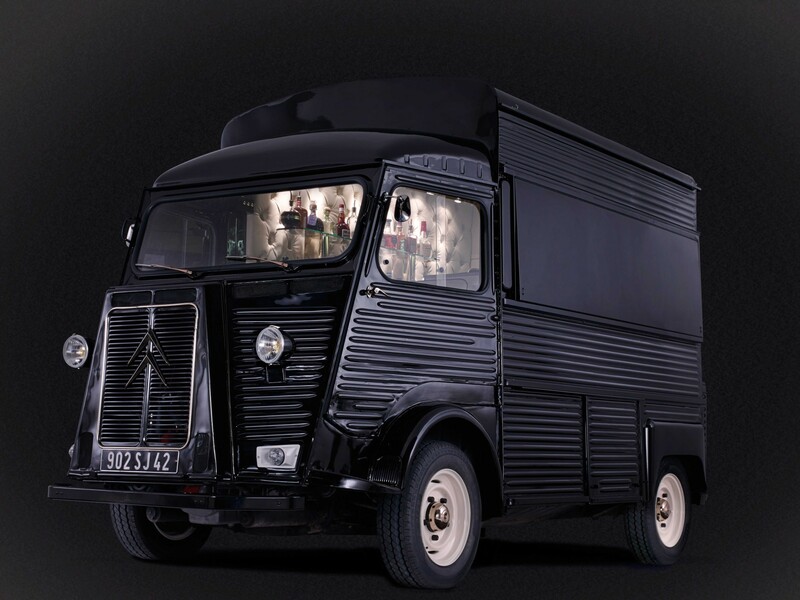 We are a luxury mobile cocktail bar which has been lovingly created from a vintage Citroen H van. We offer our services for a range of events and can be flexible to your wants and needs. We are based in Oxford; however we are happy to travel for a small delivery fee. Please get in touch to find out more. We can't wait to hear about your event!